Discussion in 'Music Corner' started by George P, May 27, 2014. I've owned/played that set on the original LP issues, have owned various components on CD later. But now I've got Colin Davis' remakes with the London Symphony Orchestra for RCA and like them in all particulars including the first-rate engineering from Tony Faulkner. I also have that RCA set, but I prefer the Boston performances: the playing is tighter and sounds better to me. By the way, Davis recorded a third set, live with the London Symphony Orchestra for the orchestra's own label. Symphonies 1, Op.39; 2, Op.43; 3, Op.52; 4, Op.63; 5, Op.82; 6, Op.104; 7, Op.105; Finlandia, Op.26; Pohjola's Daughter, Op.49; Tapiola, Op.112; The Swan of Tuonela, Op.22/2; Valse triste, Op.44/1; En Saga, Op.9; Karelia Suite, Op.11; Violin Concerto, Op.47 with Salvatore Accardo. No violin concerto in my set. (I have Heifetz and Oistrakh) Also missing several other works. EasterEverywhere and Joe071 like this. Joe071 and bluemooze like this. Now listening to "Prokofiev - Violin Concerto No. 2/Sonata For 2 Violins Op.56/Sonata For Violin And Piano Op.80" performed by Janine Jansen/London Philharmonic Orchestra - Vladimir Jurowski/Boris Brovtsyn - Violin/Itamar Golan - Piano, on Decca. marcel and John S like this. Andrew and bluemooze like this. bluemooze, ToddBD and Joe071 like this. Buyer beware. I just tried to listen to this EMI Warner Classic Debussy Complete Piano Works (4 SACD set) by Walter Gieseking and the sound was dreadful. Just dead. I read the booklet and found out they transferred the Original Master tapes to 24/96 then ran it through CEDAR to get rid of the hiss, then transferred it to DSD. What a waste. It was done at Abbey Road. I am fast coming to the conclusion that the record labels' 'new gold rush' to put out and release 24bit/96Kz remasterings of anything they think , might sell.....are in many cases, something to take with a grain of salt. What would appear....(when normally sonically masked when listening in a listening room through speakers)... are in some cases, areas of over modulation of the recording tapes ...and /or the types of microphone used, unable to fully handle the sudden sonics demands, that were placed on them. One quietly accepts the age of such particular recordings , grateful -one has a copy , and ignores what could be called, momentary flaws. The above illustrated cover for this even more ancient Walter Geiseking Debussy SACD release is a great example... outlandish claims about "High Definition Sound" , on the cover ???!!! What time era.... might they really be, suposedly be talking about? My copy of "Walter Gieseking plays Debussy", Angel 35065, is in good shape. It's an earlier pressing with the Red Label. Compared to that all-tube [recording chain/mastering chain] LP the SACD has a little more going on in the upper frequencies. The LP has little hiss to begin with anyway. The SACD sounds a little less closed-in and "dead" than the LP but by a very small margin. Using 24/96 for the initial transfer is roughly equivalent to the DSD standard. While I might have skipped using "Cedar" there's nothing in the liner notes that say it was used on this recording or if used, how much. However, I can understand why they would then convert to analog and then use analog EQ—if it sounds better then it sounds better, the process is really beside the point. In any case, the Gieseking re-recordings of Debussy always had that closed-in sound. This is simply an honest transfer of a problematic recording. I see her "violinist's neck" has been airbrushed a bit. Pretty woman though, with great taste in music. 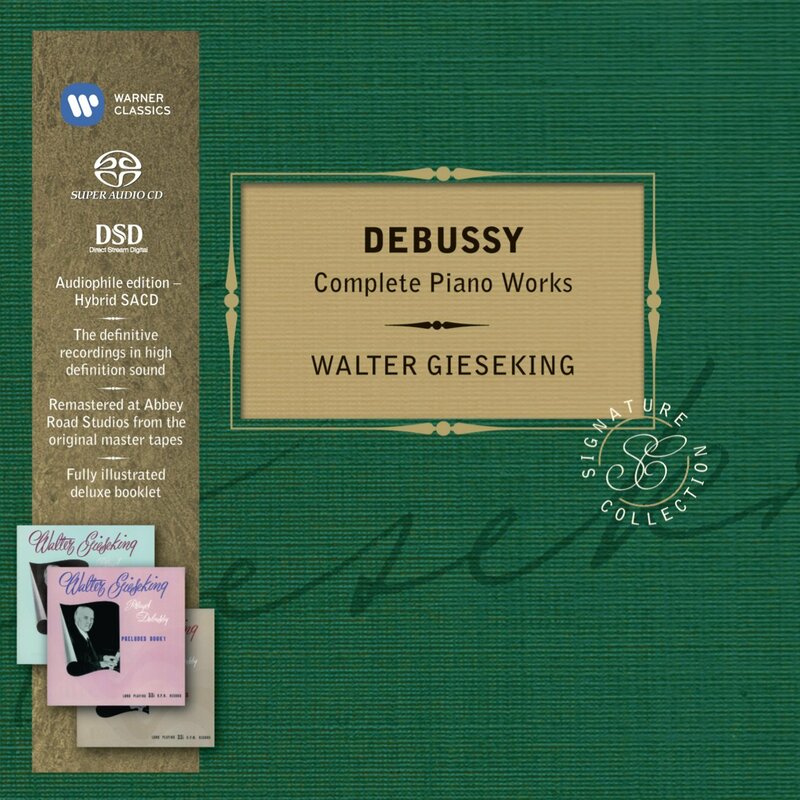 I fully agree that Gieseking's Debussy SACD box is not high-definition sound by any means. 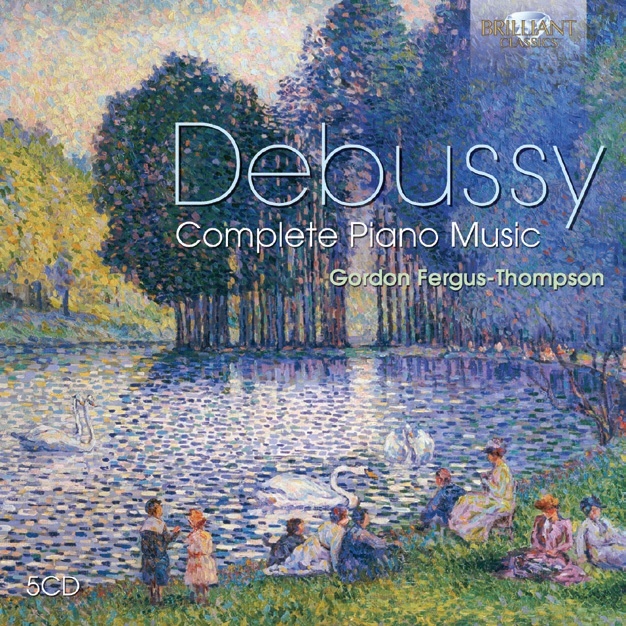 However, this box is by far my favourite recording of Debussy's piano music owing to the caliber of his interpretation. J.A.W. and Robin L like this. Yes, to me, interpretation always wins over sound. Lucky for me, some of my favorites for Debussy preludes (Arrau, Michalangeli and Zimerman) are in fine sound. Others, like Cortot and Richter, are in much worse sound, but the interpretation is so enjoyable the limitations of the sound are easily transcended. Robin L and Joe071 like this. It may take me awhile to appreciate this CD. 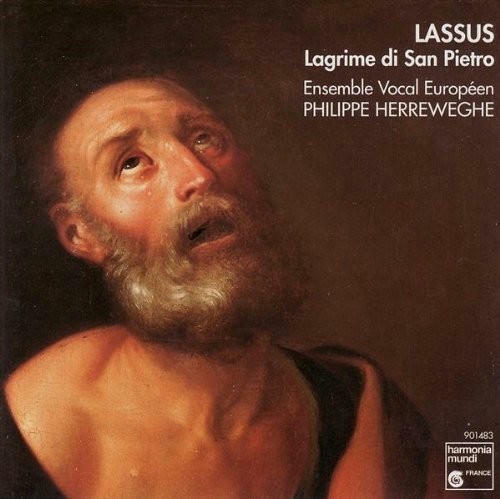 It is supposed to be an excellent interpretation of the spiritual madrigal (Italian), this one composed 1593-1594 by Roland de Lassus. 7 voices. Joe071, bluemooze, Mr Bass and 1 other person like this. Two Japanese CDs of Mahler that feature excellent remastering of subpar CBS LPs. One is the Ormandy Sym 10 and Das Lied von der Erde with L;ewis and Chookasian. The other is a 2 CD issue of Walter's Das Lied with Ferrier and Patzak. The 2 CDs feature vocally spotlit mastering vs a more natural orchestral balance. Not sure why they did that unless Japanese want spotlit vocals. EasterEverywhere, Joe071 and bluemooze like this. The Ferrier/Walter/VPO "Das Lied von der Erde" is from Decca. My LPs and CD have spotlit vocals, it was the way it was recorded in the first place some 60 years ago. My mistake as I was thinking about the later one with Haefliger and Miller. As for spot lit it seemed boosted from what I remember on the LP but maybe my system is better. Did you make a direct comparison of the Opus Kura with the others? Don't have the Opera Kura but have owned about six different pressings/masterings. The original LP has the vocals unnaturally forward. The vocalists on the later, NYPO recording were fairly well recessed, have the original Columbia 2-LP set plus the Odyssey reissue on LP of that one as well. To my taste, there's too often too much echo in those Jesus-Christus-Kirche recordings they once made. A stone church and a symphony orchestra with nearly 100 players isn't a good combination. 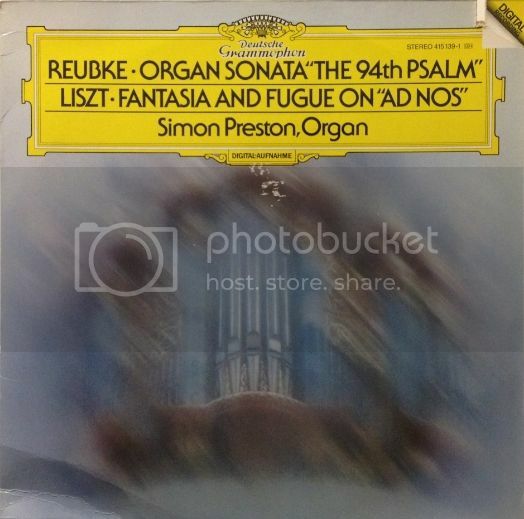 With slowly progressing religious choral music those sites are great, but I'd prefer the instruments and sections of the orchestra not to intertwine sonically so that the result is a mess. Yet, I like very much von Karajan's early Beethoven set as SACD's. However, my latest fvourite is Paavo Järvi & the Deutsche Kammerphilharmonie Bremen (SACD) set. Today listening to the Mozart (first day no football in ca. 2 weeks! ): Symphony no. 22 in C played by Mozart Akademie Amsterdam, dir. Jaap ter Linden. 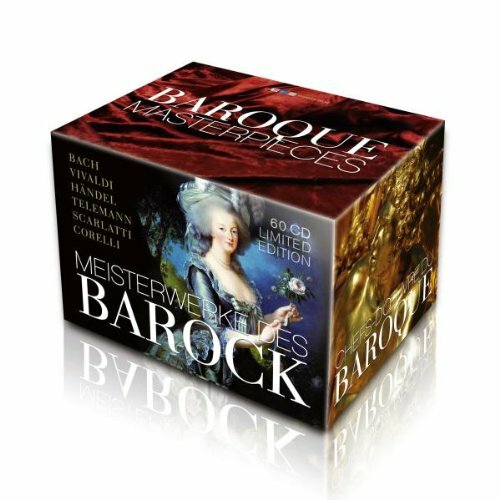 A bit too brightish, this MAA Mozart set. But clearly articulated renderings. I started hearing Bernard Herrmann when you invoked the quotation from Sorry, Wrong Number! Further, I agree with you regarding overly echoey acoustics for symphonic recordings. Obviously, it's a case by case situation, but overall I prefer less liveness for most symphonic recordings. On the other hand, I just heard this recording the other day, which has been condemned by such publications as American Record Guide as being a swimming acoustic mess and it sounded superb through my system. jukes and Joe071 like this. Do violinists ever suffer left ear hearing problems as time goes by? 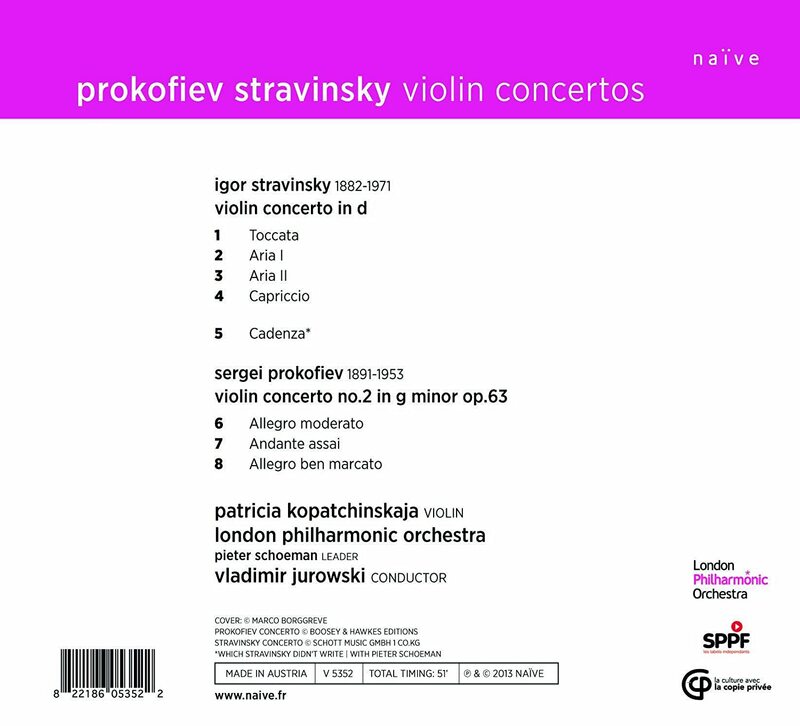 Now listening to "Prokofiev/Stravinsky Violin Concertos" performed by Patricia Kopatchinskaja with the London Philharmonic Orchestra conducted by Vladimir Jurowski on Naïve. John S and Joe071 like this. Why not their right ear, or are you joking with me? Both ears, but piano tuning appears to drastically up the chances of tinnitus.